Detailed coordination efforts amongst Gilbane, the trades, and the hospital allowed Doctors Community Hospital to remain completely operational during the construction process. 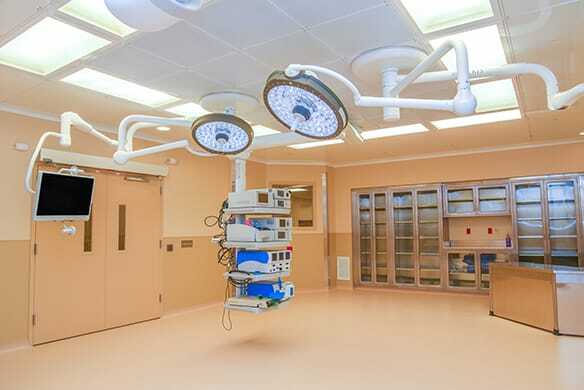 Gilbane provided construction management at-risk services for the phased modernization of Doctors Community Hospital’s Surgical Center, while the hospital remained fully occupied. This two-phase project included both renovations and an addition with five new OR rooms, as well as a new pre-operative services department and administrative support spaces at the hospital. The two-story building addition houses three new operating rooms on the upper level, while the lower level provides storage and can accommodate future expansion. Renovation activities included converting existing shell space into a staff lounge and new surgical staff locker rooms, as well as the construction of a new 18-bed PACU. A new air handling unit and chiller were installed to support this program and provide capacity for future renovations to the remaining OR suites. 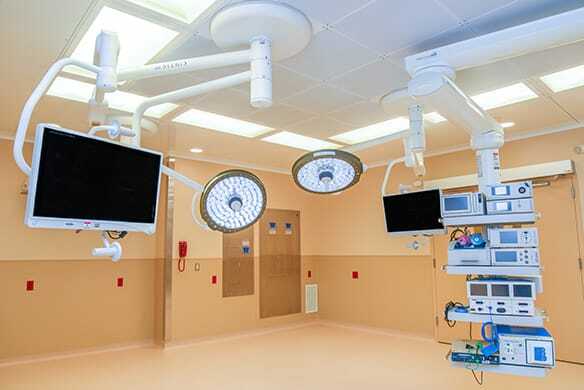 All of these renovations occurred within the heart of the active surgery department. Careful logistics planning and infection control measures were meticulously pursued to allow for a successful construction phase. The two-story addition expands into the existing staff parking area on the east side of the building. This new expansion is supported by structural steel frame resting on concrete spread footers, many of which were underpinned along the existing building. The new exterior façade matches the existing façade, which consists of a unit masonry wall system. To express appreciation to charitable donors, engraved masonry will be added to the walls and sidewalk. The addition was built overtop the existing and active loading dock for the hospital. Construction activities were carefully coordinated with the vendors and hospital, to allow daily deliveries to be maintained while building in a safe manner. Thoughtful planning and constant communication led to a project that was completed on time and on budget, all the while maintaining client expectations and satisfaction. The team developed a rapport with the hospital staff and provided them with regular updates to ensure operations continued to run smoothly. This was especially important during the building expansion work above the main hospital receiving dock. The relationship with the hospital went beyond the day-to-day project responsibilities. Gilbane was involved in local community activities to help form a trusting and lasting relationship. This included participation in the local ACE Chapter, attending the DCH Foundation Gala, volunteering at the DCH Golf Invitational, and coordinating and executing the Engraved Brick Campaign fundraiser for the hospital.